There's a problem with the recipient's mailbox. Please try resending the message. If the problem continues, please contact your email admin. However, it works just fine when the user is created only in Office 365 as strictly cloud user. That means connectors are set up and working correctly. So what is wrong? Why does it work for one user and not the other? 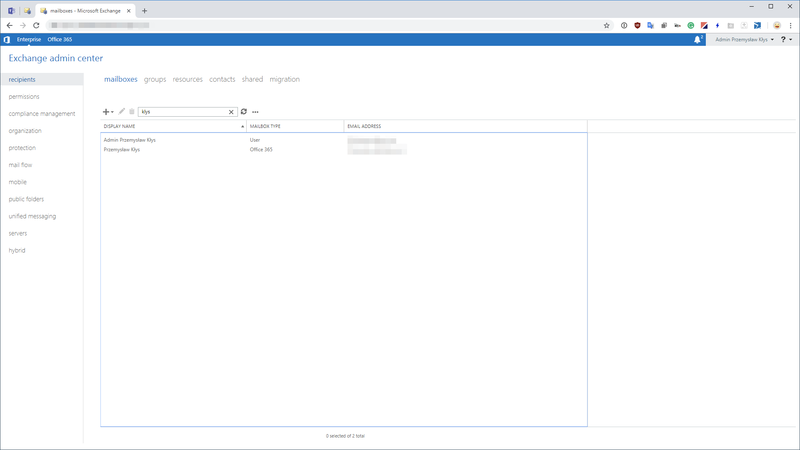 The difference is that if you introduce On-Premises Exchange in your infrastructure it can see your Active Directory users, but it doesn't see their mailboxes (because they were created and used only in Cloud). For cloud only users, it can't find those users in Active Directory, so it forwards emails for non-existing accounts using Internal Relay setting. Knowing this we can address our issue. As you can see on below screenshot that's how proper Active Directory user should look like. Mailbox Type for this user should be set to Office 365. So how do we get our Office 365 mailboxes to show up as Office 365 Mailbox Type in Exchange 2016 (Exchange 2013)? 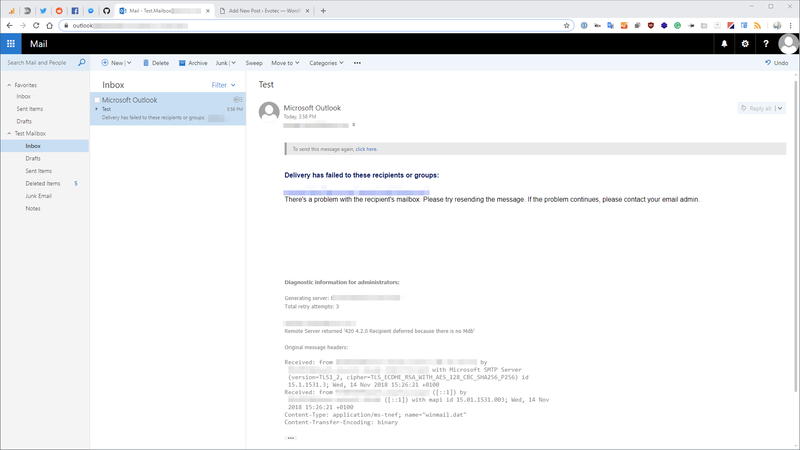 Enable-RemoteMailbox "Test User" -RemoteRoutingAddress "test.user@mydomain.mail.onmicrosoft.com"
Above command, while simple is required to fix our problem, 420 4.2.0 Recipient deferred because there is no Mdb. Now we only need to set this for all remaining users so that this issue is no more.